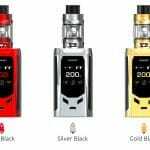 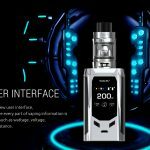 Here are cheap deals for the Smok R-Kiss Mod or Kit. 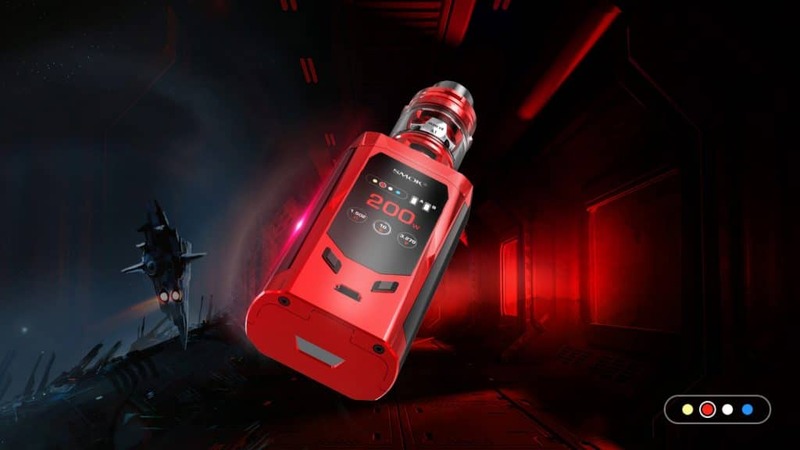 The R-Kiss mod features a customizable color screen, 200 watts of power, versatile temperature control, dual 18650 batteries, micro USB charging and is the smallest dual battery mod in the marketplace. 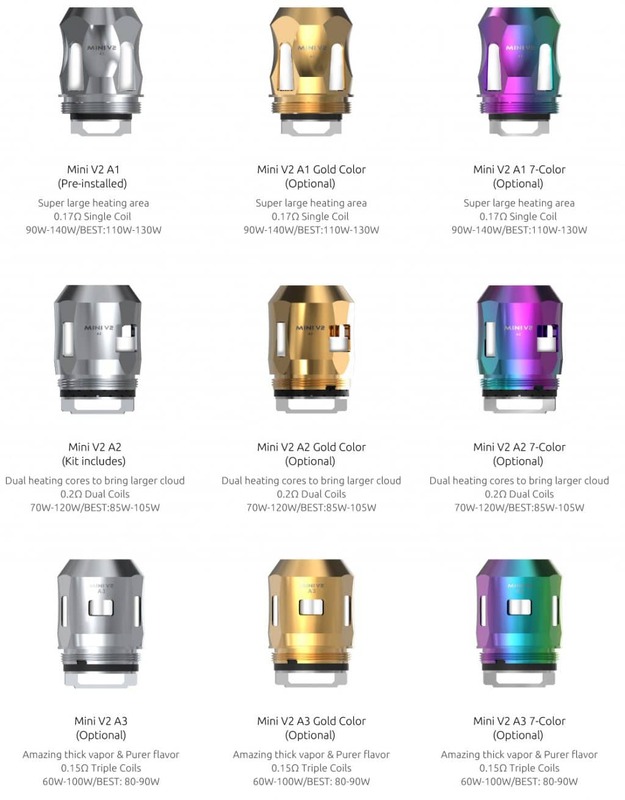 The TFV Mini V2 included with the full kit features a tiny form factor, a 2ml juice reservoir, three new coil options including a mesh core, optional rainbow/gold coil finishes, a Delrin drip tip with easy push installation and triple bottom adjustable air intake slots. 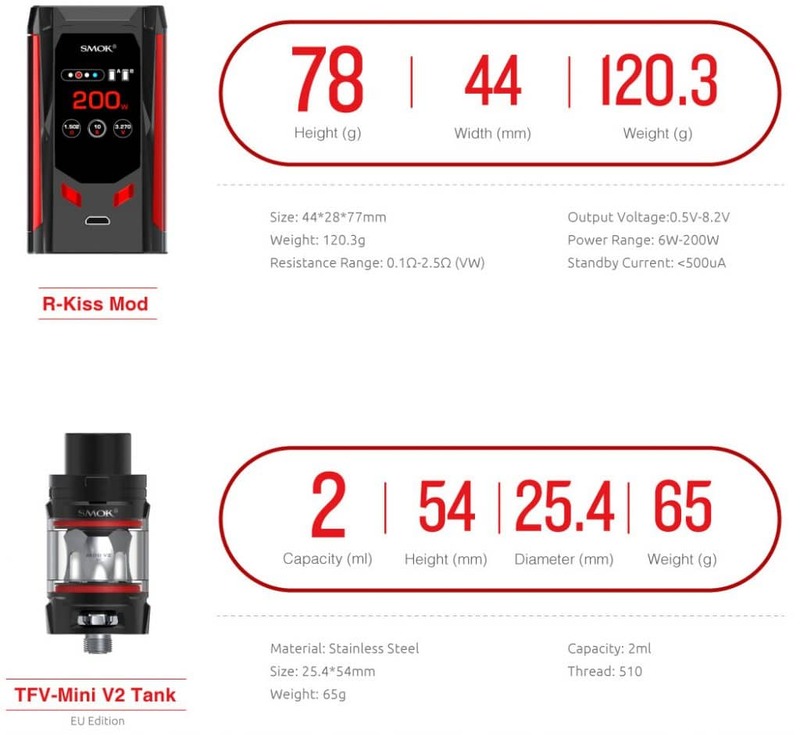 To be as portable as possible, the R-Kiss Mod measures only 44mm x 28mm x 78mm and weighs only 120.3 grams. 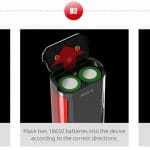 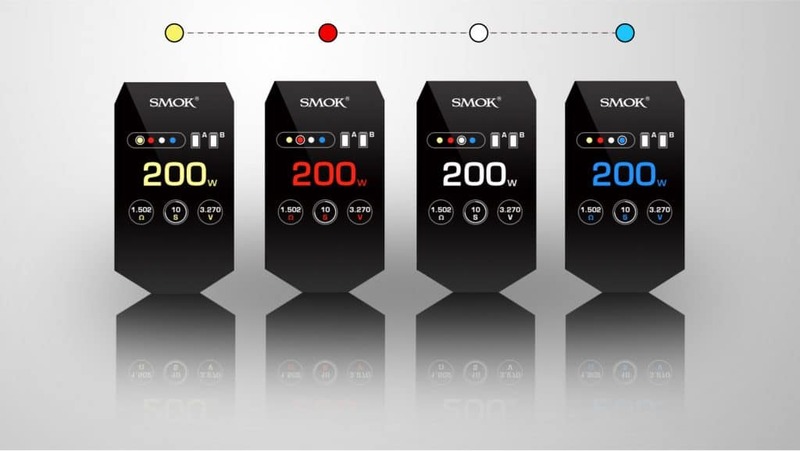 The device is the smallest two battery mod in the vape marketplace. 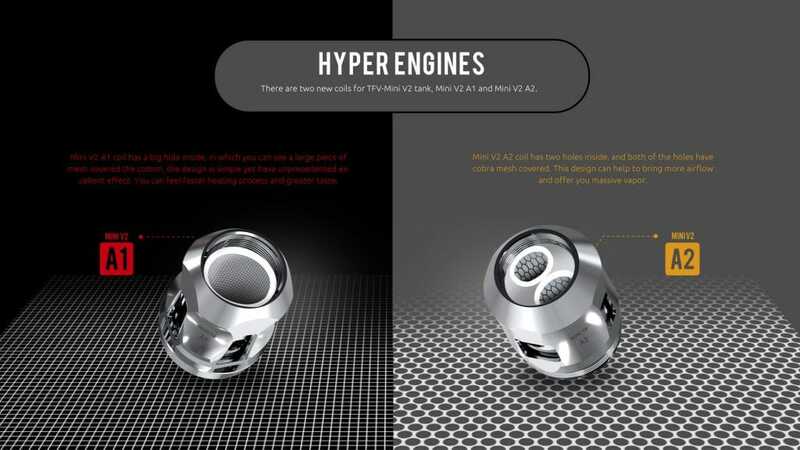 The appearance is meant to be simplistic with two color combination finishes with exquisite accent lines. 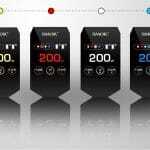 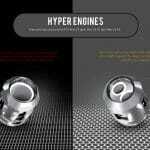 Color options include black/red, red/black, silver/black, gold/black and navy blue/prism chrome. 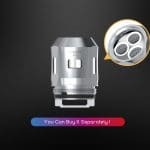 And, the fire button on the side spans the entire length of the R-Kiss to be ergonomic. 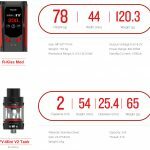 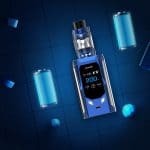 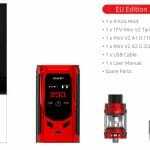 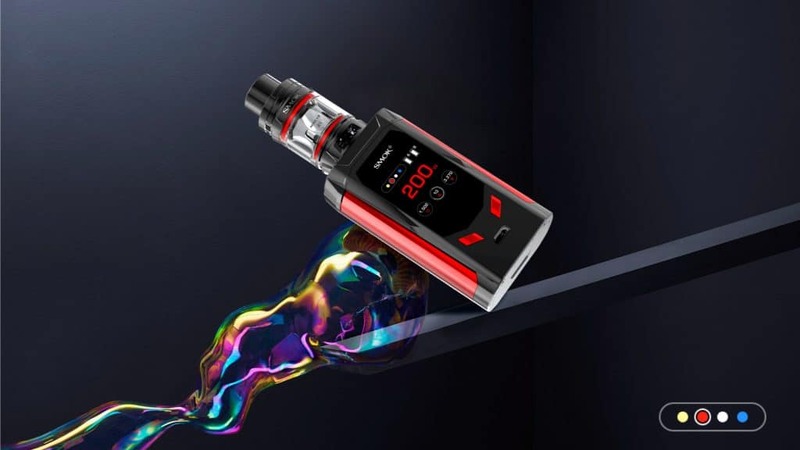 The front of the R-Kiss is built with a full color HD display and has a brand new interface so that one may easily see vape data such as wattage, voltage, battery life, mode, color scheme and more. 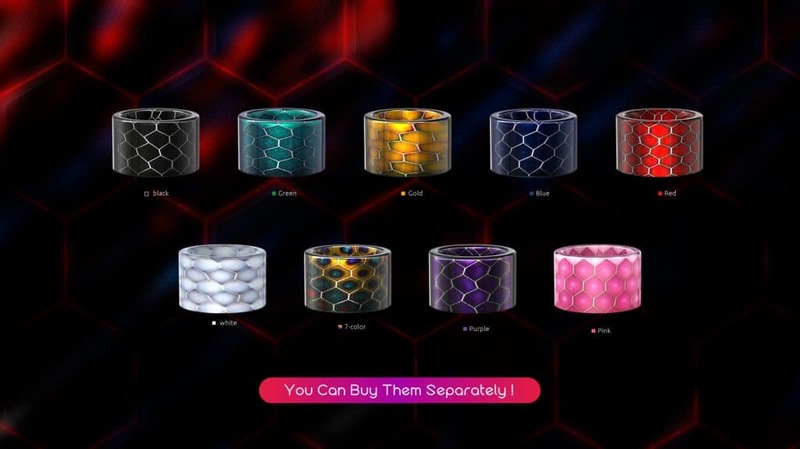 The screen’s font can be changed to four different colors. 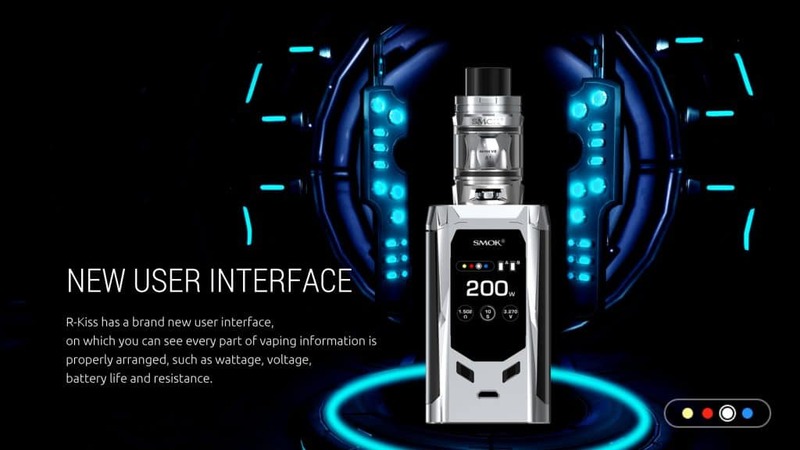 Underneath the screen, there are two adjustment buttons for easy menu navigation. 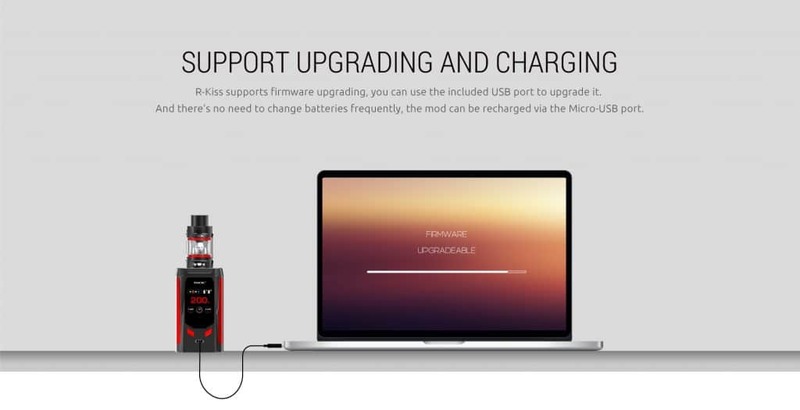 At the bottom of the the control face, there’s a micro USB port and its purpose is to recharge the dual 18650 batteries that power the R-Kiss Box Mod. 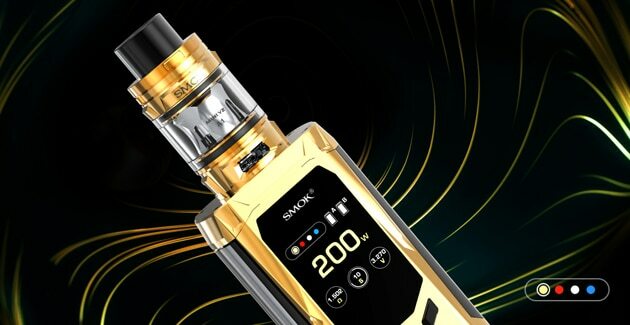 These can be installed via a bottom hinged battery door that is hinged and features gold plated contacts for maximum conductivity. 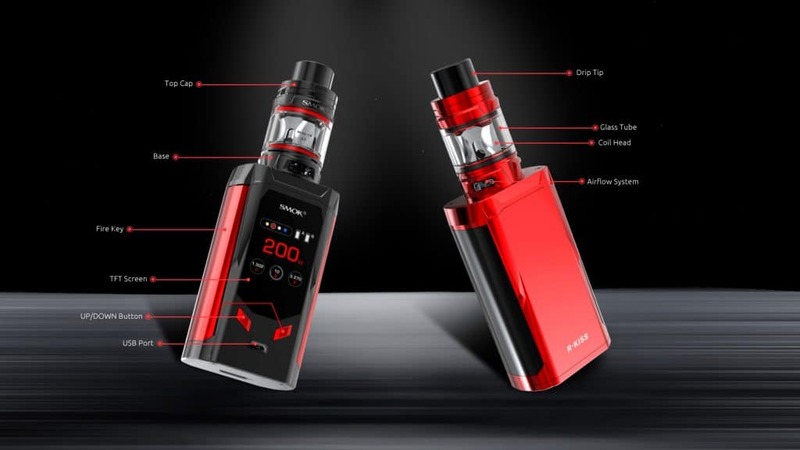 If you wish to swap the cells out, simply slide the battery bay’s panel and it will flip open. 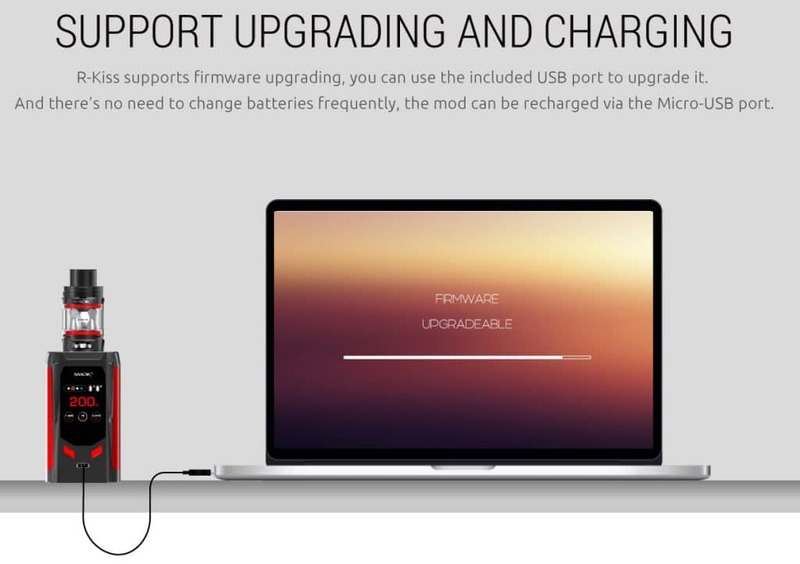 By plugging the mod into your computer, you may also update the firmware if one becomes available. 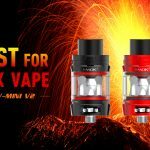 Technically, the R-Kiss Kit can fire with up to 200 watts of power with atomizers that have a 0.10ohm resistance or higher. 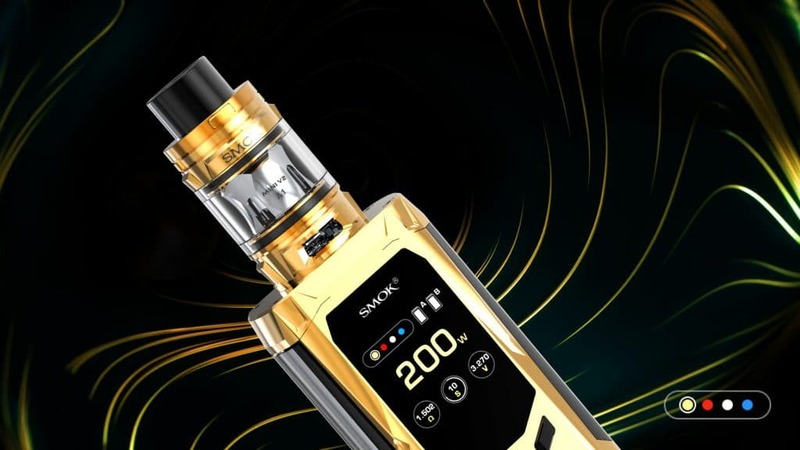 If you fire the device in temperature mode, you may set it to up to 600 degrees Fahrenheit with any atomizer that has a resistance of 0.05ohm. 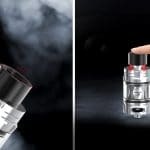 Although more information is not available, the R-Kiss is sure to have a wide range of safety features including overpuff, over-discharge, overheating, short circuit, puff monitoring and atomizer recognition protections. 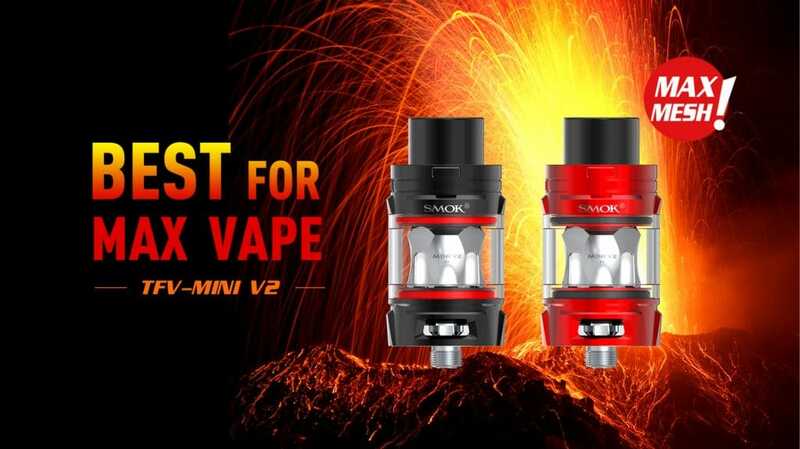 If you purchase the full kit, you will also receive Smok’s latest tank: the TFV Mini V2. 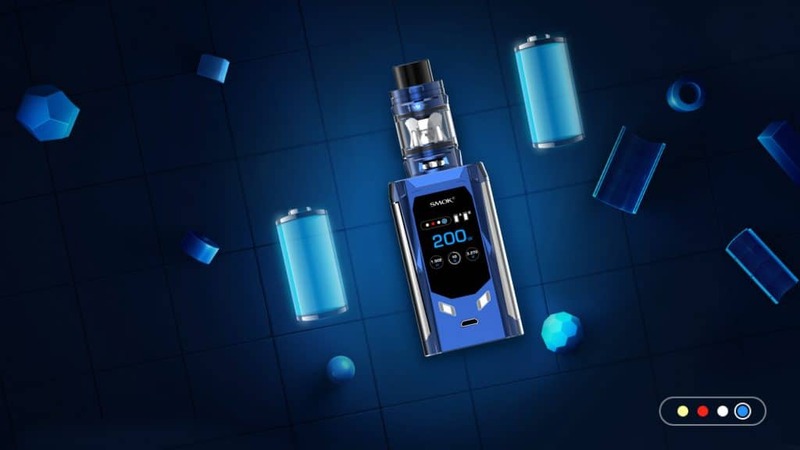 It is constructed from stainless steel with pyrex glass, has dimensions of 24.4mm x 54mm, weighs 65 grams and can hold up to 2ml of e-liquid. 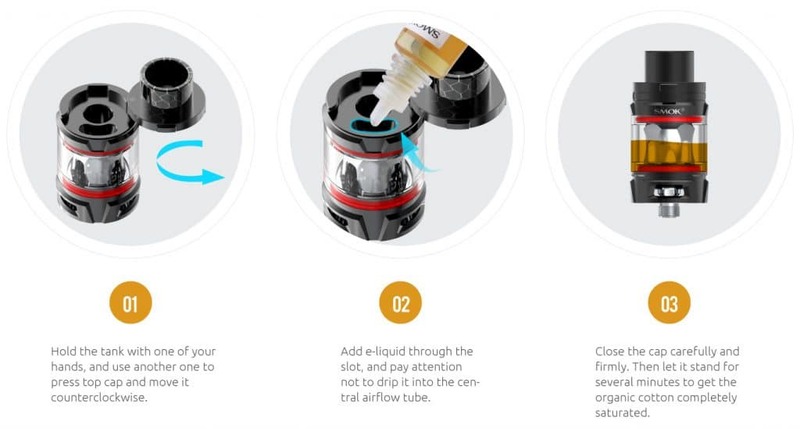 Airflow can be widely adjusted at the bottom and occurs via triple external air inlets for max vapor with flavor. 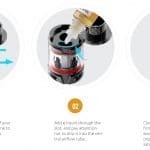 Adding juice to the reservoir takes place by a swiveling top cap which reveals a leak proof fill port when opened. 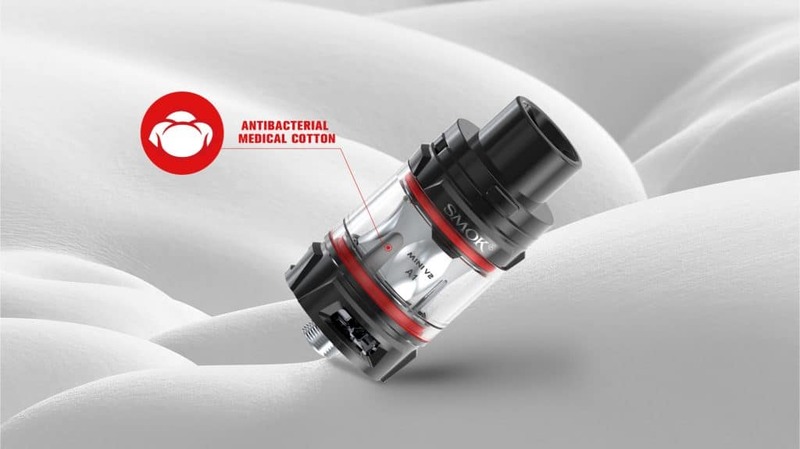 The TFV8 Baby V2 in the Smok R-Kiss Mod Kit includes a 16mm diameter drip that with resin/cobra finish. 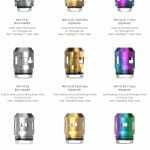 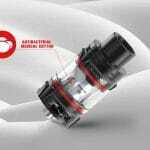 You may purchase the drip tip in several separate colors if you choose. 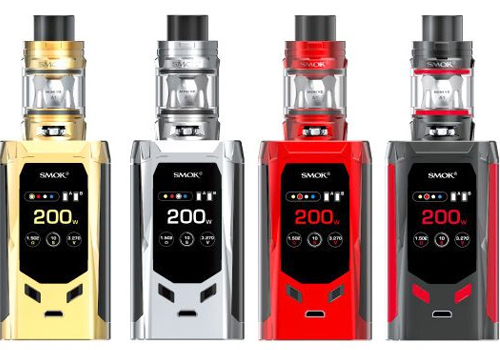 Powering the new tank that comes with the R-Kiss Kit are new coils which are also available in different colors, but the silver ones are included. 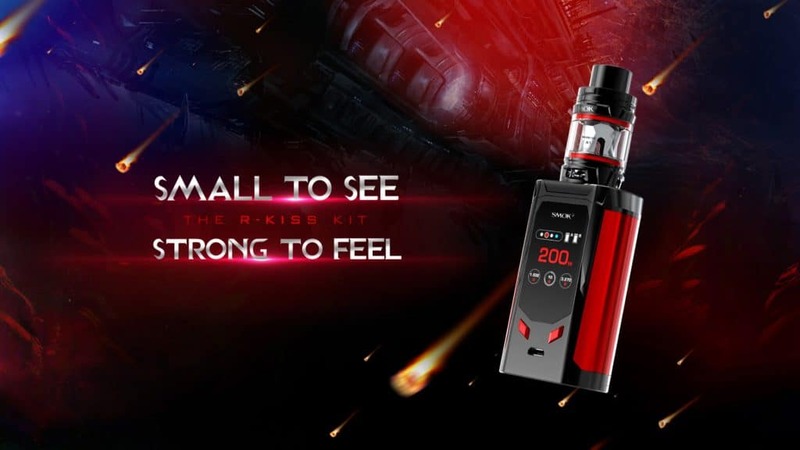 With purchase of the R-Kiss Kit, you will get the pre-installed 0.17ohm Mini V2 A1 single coil of which the element has a large surface area to heat up fast for massive vapor and exquisite flavor production. 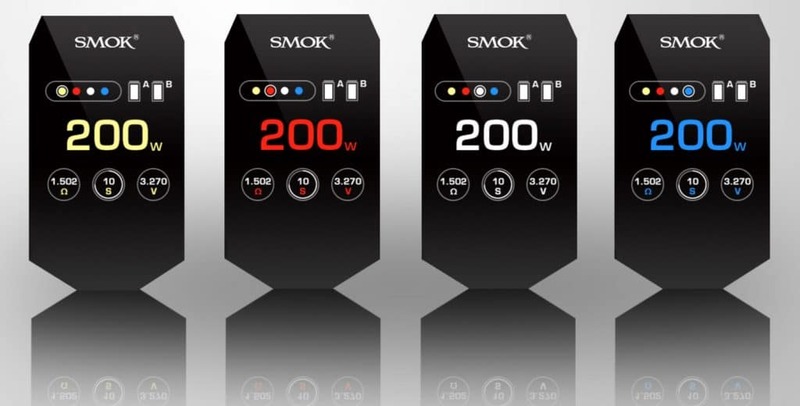 This core is best used within the 110 to 130 watt range, but it is capable of firing from 90 to 140 watts. 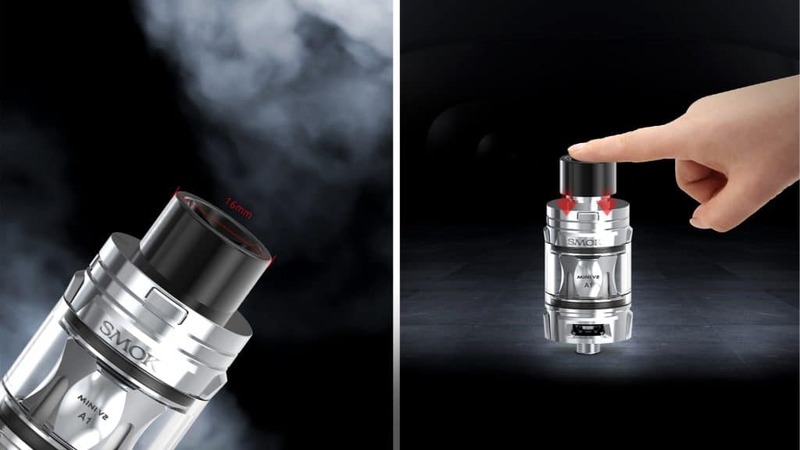 Another core that is included with the R-Kiss Kit is the 0.2ohm Mini V2 A2. 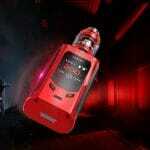 It features dual coils for additional vapor production and is best vaped at 85 to 105 watts. 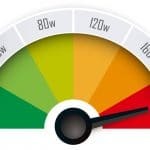 However, you may fire it in the range of 70 to 120 watts. 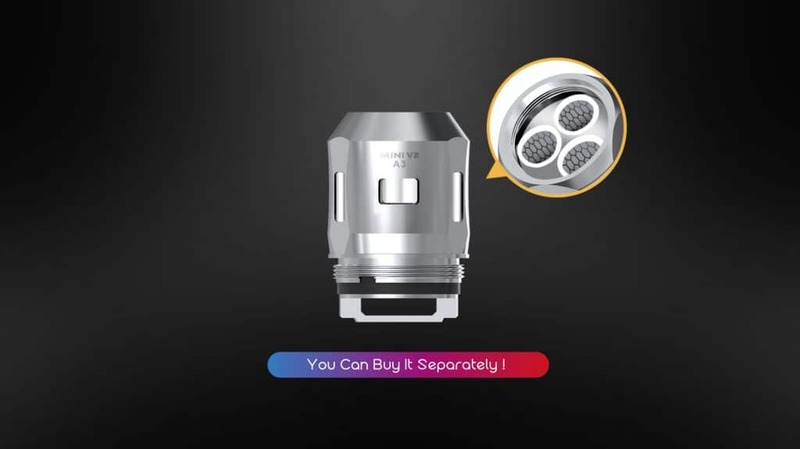 A third coil option for the R-Kiss Kit is the triple coil 0.15ohm Mini V2 A3 which is said to produce intense vapor and flavor. 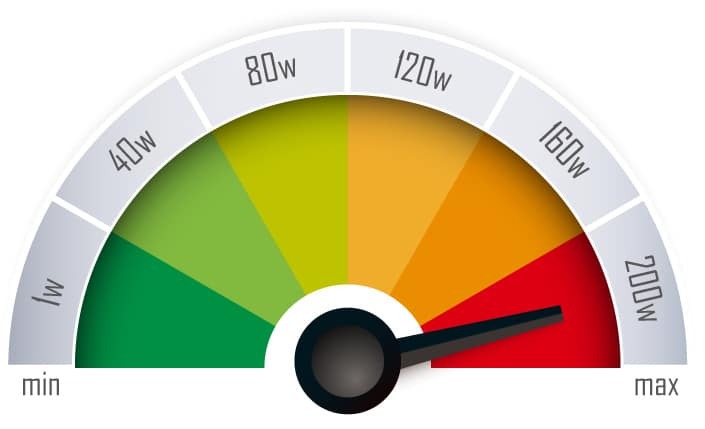 It is rated from 60 to 100 watts, but it is advised to fire it in the range of 80 to 90 watts.